In Japan, the crane is a mystical creature that is believed to live for a thousand years. As a result, the crane represents good fortune and longevity. Japanese people refer to the crane as the ‘bird of happiness’. ‘Senbazuru’, means 1000 cranes in Japanese. Traditionally, it was believed that if one folded 1000 origami cranes, one’s wish would come true. It has also become a symbol of hope and healing during challenging times. 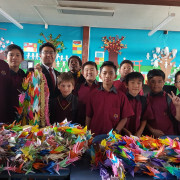 The students who learn Japanese in New Zealand, together with their Japanese teachers, led by New Zealand Association of Japanese Language Teachers, started a Senbazuru project to work together to create a Senbazuru, to show our support for the Christchurch community after the tragedy last month. Liston College joined the project too. 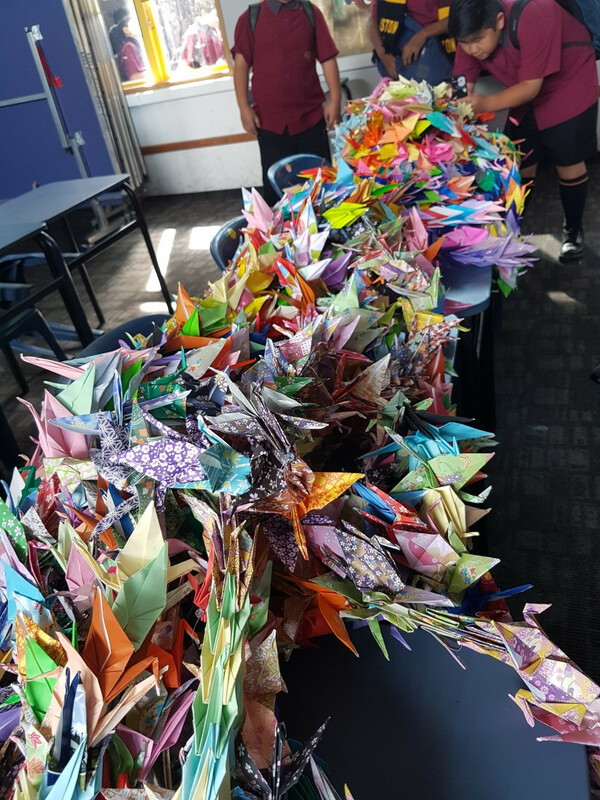 All paper cranes from all over the country were delivered to Liston College and Botany Down High School to be put on a string and bundled. 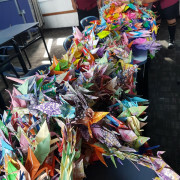 In total, we received over 6000 cranes. We have sent 2 sets of Senbazuru to Al Noor Mosque and Linwood Islamic Centre. 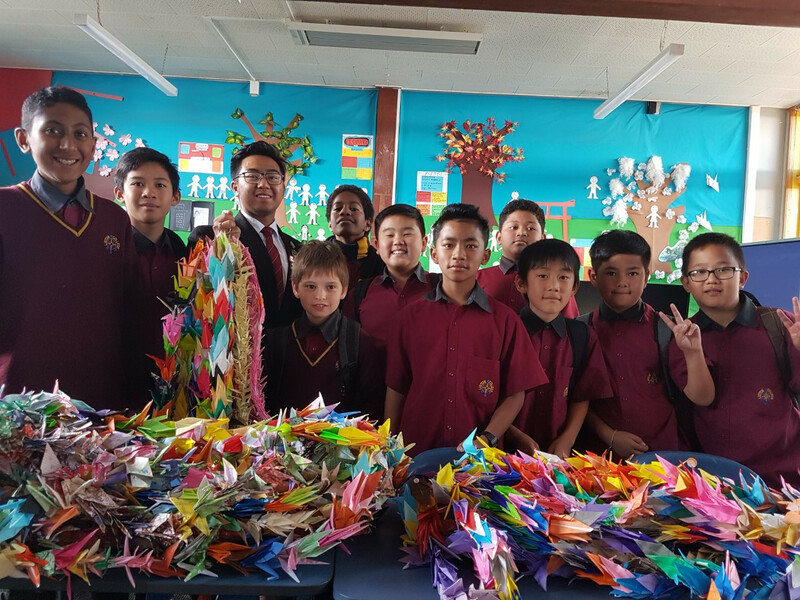 We also have sent 1 set of Senbazuru to Cashmere High School and Burnside High School who lost their students in the event.